Hello I'm Sharon I am a reader of the Akashic Records. I have been gifted as a Clairvoyant and Clairaudient since childhood, with the other senses active when needed. I am able to tap into your Soul energy instantly. My Angels and Guides are able to share detailed messages about your life, and inspire you to clarify your choices that will help to improve your soul path. As a intuitive and Mystic healer, I am gifted to read your Aura, Chakras, and your soul energy even at a distance. . During our session my guides provide "to the point" and detailed information about your life. My sessions (personal readings) are offered in person, by phone or skype and all sessions provide you with a professionally recorded mp3 for later listening pleasure. I have been providing unparalleled professional guidance for over thirty years. My guides help me provide accurate, skillful readings that have helped clients all over the world with making important life decisions. Dr. Sharon Lee Bridwell Msc. 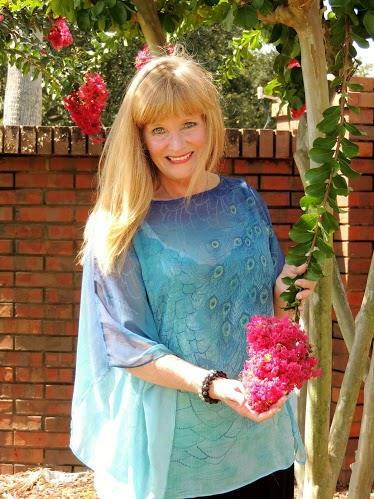 D has a Doctorate in Metaphysical Science from the University of Metaphysic's in Sedona AZ and has provide her gifts for healing mind, body and spirit for over thirty years. As an Ordained Minister and Motivational Speaker she has had an influence on thousands of people around the globe. Sharon is very blessed to be able to allow messages and healing energies come through in very profound ways from Pure Source. Sharon's readings have an unheard of accurancy rate. She has countless notes and testimonials from astounded clients speaking of life changing affects from sessions with her. Sharon is also a pure channel to the Masters of Wisdom; Saint Germain is one of her personal guides. When I am working with you in a soul reading My Guide's cover topics such as relationships, money, career, energy clearing, health, speaking with your Angels and Guides, and those who have crossed over. Most times your answers come before you can ask. When I am channeling your guides it can help you discover and solve problems that may seem insurmountable. Speaking to your lost loved ones comes naturally in a Soul Session with me. Messages about how they are interacting in your life come through with startling clarity and love. 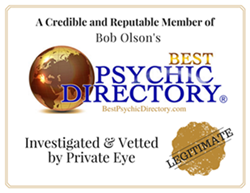 My Guides are able to provide clear, precise information from the vibrations of first names of people, businesses and pets. Come experience my God-Given gifts and talents. Sharon has won the respect of thousands of clients due to the amazing accurancy of her guides. Sharon is a true clairvoyant and channel of the Ascended Master St. Germain. Her personal life guide is channeled by many and is an Ascended Master know only as "Great Grand Mother". It is through Divine guidance of her guides that Sharon has helped guide her clients through some of life's hardest onsets.